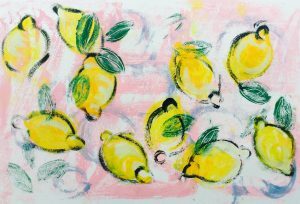 Exploring Monoprinting, 14th November 2018. Dating back to the 1600’s monoprinting has been explored by many artists including Rembrandt and Edgar Degas. It combines drawing and painting processes in an experimental way. You will explore single and multiple layered techniques, plus a further experimental process. 14th November 2018, 10 – 2pm, Tansley Village Hall, Tansley, Matlock, Derbyshire, DE4 4BY, £45.